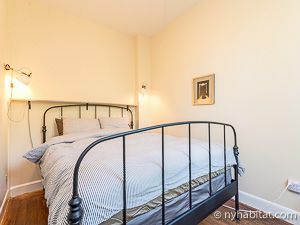 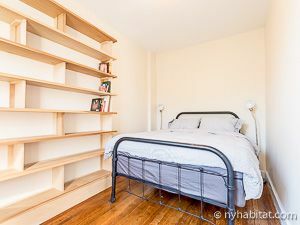 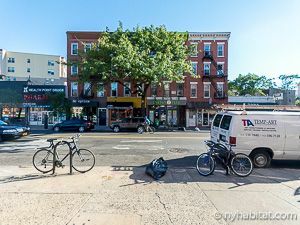 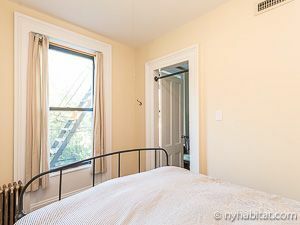 Discover the spectacular area of Fort Greene, Brooklyn by staying in this two bedroom apartment located on Myrtle Avenue and Vanderbilt Avenue. This New York City apartment is located on 3rd floor (equivalent to the 2nd European floor) of a four-story walk-up townhouse. 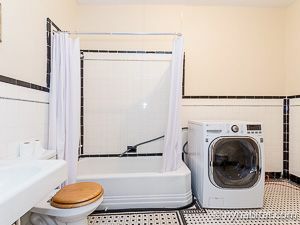 Not only does this spacious apartment offer two separate bedrooms, two separate living rooms, central A/C, but it also provides a private washer and dryer! 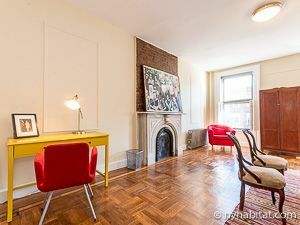 In this lovely Fort Greene apartment, the first living room is the perfect place to relax or do work as it is complete with a sofa, a desk, and a decorative fireplace. 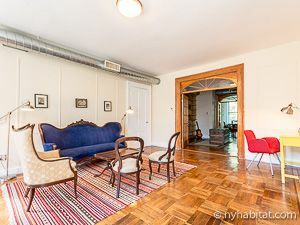 Beautiful French doors lead into the second living room. 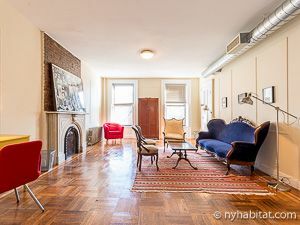 The second living room features a queen sized sofa bed as well as a flat screen cable television. 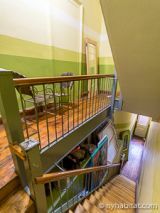 Another set of French doors leads from the second living room into the kitchen. 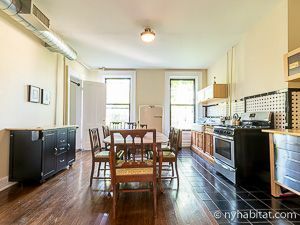 The separate kitchen is equipped with an oven, coffeemaker, toaster, fridge and freezer as well as a dining table to seat several people. 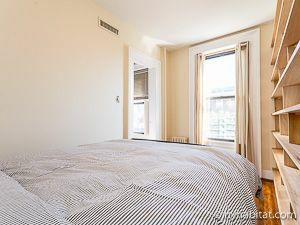 Both bedrooms are simply furnished with Queen sized beds. 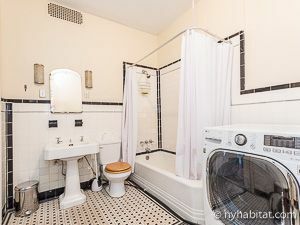 The tiled bathroom features a shower with tub and is also where the washer/dryer is located.